Check out the lastest DW emails from our President Kali Parry for exciting club news! Dressage Winnipeg Members in the Media! Please check out this video of our DW member Emma Tarvis who was CTV's Sports Star of the Week! You go Emma! Please check out this feature Winnipeg Free Press article about our DW member Ariana Chia. Awesome job Ariana! Please check out this feature Winnipeg Free Press article about our DW member Brooke Mancusi. Way to go Brooke! Halt...We have a new sound system! Dressage Winnipeg is committed to improving the club by reinvesting sponsorship funds into needed equipment and programs. ​Our new sound system features two top of the line 2000 watt QSC speakers, wireless microphone and wireless speaker connections as well as a sound board which will be able to control volumes for speaking, freestyles and background music. QSC Audio products is a globally recognized leader in the design and manufacture of professional audio/video system solutions. Thank you kindly to all of our sponsors!!! Dressage Winnipeg Members on the Move! 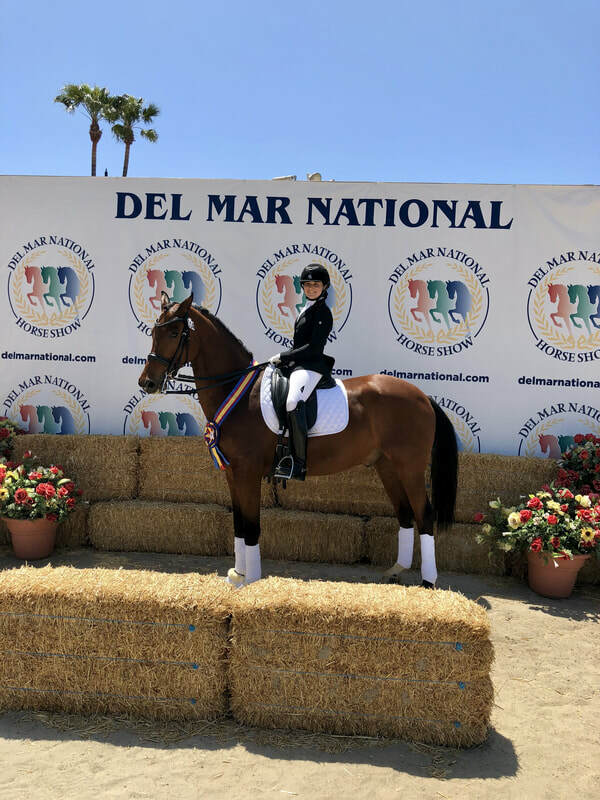 Dressage Winnipeg Junior Member Brooke Mancusi is making a name for herself after showing in the Adequan West Coast Dressage Festival Series in Del Mar, California. 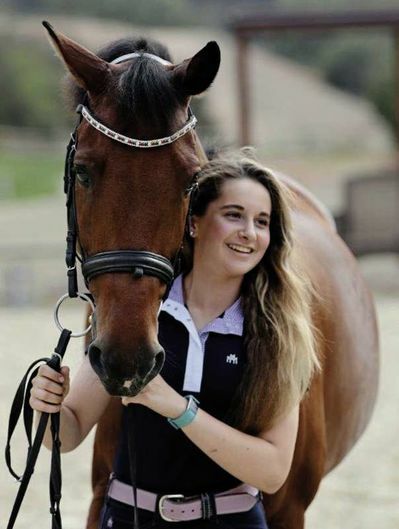 Brooke and her two horses; Wellknown, her 10 –year old Westphalin gelding (Wynton x Havidoff) and Extravaganza, her 9 – year old KWPN mare (Sir Oldenburg x Don Primero) started the series in the National show/ FEI test of Choice where they were consistently first and second with scores in the mid-high 60’s earning three daily Jr/Yr High Point Champions and one daily High Point Reserve Champion. The second show Wellknown showed in the CDI earning a hat-trick of first places with scores in the mid 60’s. Extravaganza showed FEI test of choice in the National show with one Jr/Yr High Point Champion and two Reserve Championships. Madison Tabin, another Dressage Winnipeg Member, showed her mare in First level in the National Show earning two first place ribbons. ​In the third show Extravaganza held her own with three first place ribbons and two daily High Point Championships as well as one Reserve Champion. 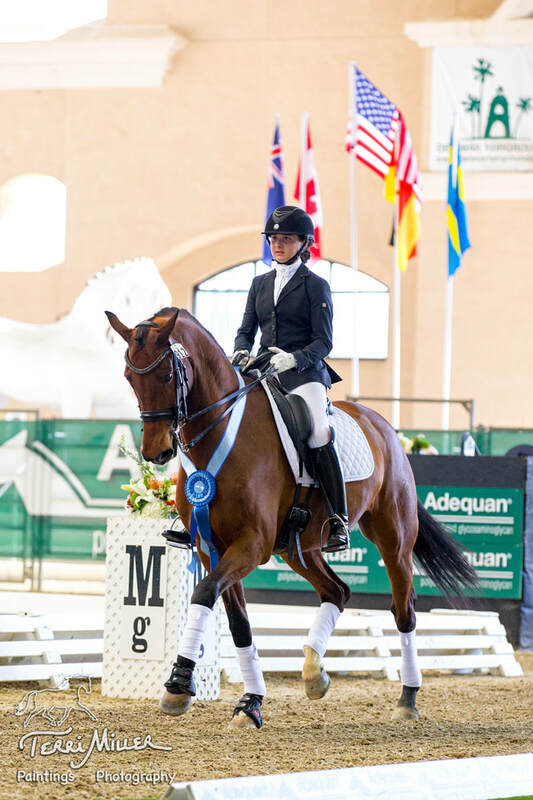 ​The highlight of the series was the third show where Brooke and Wellknown had two second places and one first place in the CDI with a notable high score of 70.375%. A great end to the series for the team that has only been together for eight weeks! Have a story for us? Please feel free to send it our way by emailing dressagewinnipegwebsite@gmail.com.